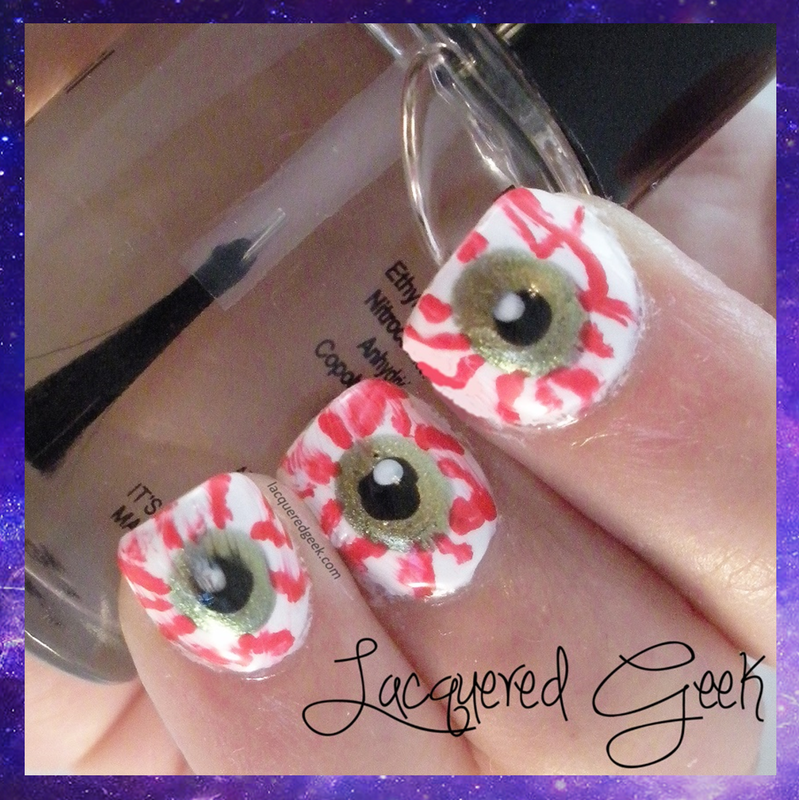 Lacquered Geek: Halloween Nail Art: Bloodshot Eyes! Greetings! 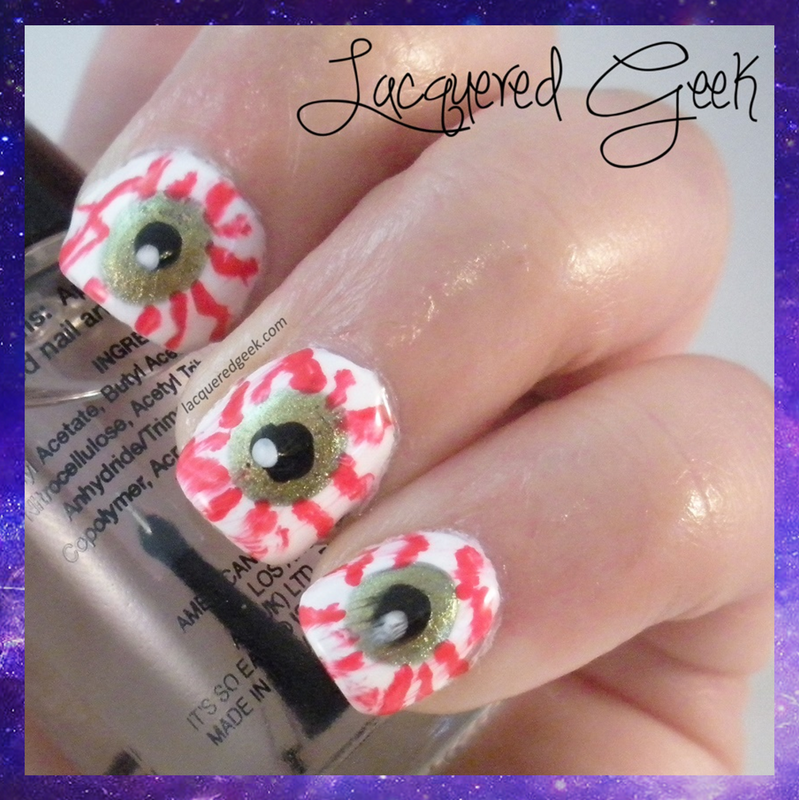 It's Tuesday, and Day 2 of Halloween nail art week! 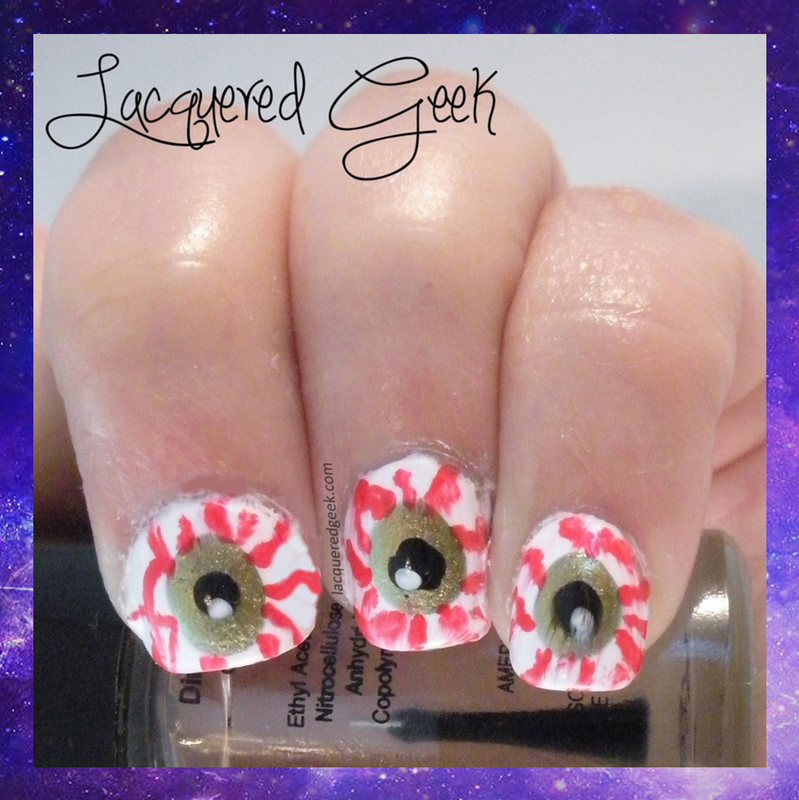 Again, I wanted something relatively easy to do with just a few polishes and tools. The only tools I used were a small nail art brush and a dotting tool. I started off with 2 coats of OPI Alpine Snow, and then added a big dot of OPI Just Spotted the Lizard. I couldn't get a big enough dot with any of my dotting tools so I used the end of my pen. You could also freehand the circle. With my art brush and OPI Red My Fortune Cookie, I added the red lines. I finished the look with a dot of Zoya Raven and another smaller dot of OPI Alpine Snow. I tried a different top coat this time, and I will never use it again! It was labeled as a nail art "sealer," and as you can see, it smeared the heck out of the design! So, do you have any big plans for this Halloween? We're just staying in, and possibly giving out candy (still debating that one this year). oooo how i love this , fantastic nail art ! bravo ! i decided to follow you on GFC , we could follow each other if you agree.thank you !